Most people are not using Phentermine, for weight loss, correctly. There is a "standard" way to use Phentermine (the way that most Doctors use it) and a "better" way to use it (the way that I recommend you use it) and by simply changing how you use it, you can increase weight loss while reducing symptoms. If you want to know how to use Phentermine safely and correctly, while avoiding negative side effects and optimizing your weight loss, then this is the article for you. As a Doctor, I've always been interested in weight loss. To me, it seems like it's probably one of the most important conditions that patients deal with and it's insanely common. Losing weight helps improve quality of life, energy levels and self-confidence of almost everyone who achieves it. So you can imagine how excited I was to use Phentermine (a supposed weight loss medication) once I started my weight loss practice. But I was incredibly bummed out once I saw the results! I expected patients to shed excess pounds and come back happy and healthy. Some patients lost a minor amount of weight (a few pounds here and there) but many suffered from side effects which made them stop taking the medication. Worse yet, some patients experienced no weight loss at all. At first, this caused me to stop using Phentermine, but then I realized that there may be a better way to use it. What if we can take advantage of the weight loss associated with this medication while minimizing the negative side effects all while maintaining weight loss after patients stop using it? So what exactly is Phentermine? Phentermine (also known as Adipex, Fastin, Lomaira, and Pro-Fast) is one of MANY weight loss medications FDA approved to treat obesity in the United States. It works by stimulating your sympathetic nervous system and is classified as a "stimulant" (1). Stimulants work to reduce your appetite and increase the number of calories that you burn at baseline (your metabolism). Phentermine is FDA approved for weight loss if used SHORT-term and if COMBINED with diet and exercise (2). Used in this way many studies show that it is effective. Phentermine works fairly well (in up to 80% of patients in some studies) but it's NOT a long-term solution. Phentermine is supposed to work because it suppresses your appetite. If you eat less food then you should lose weight, right? You may lose weight, but do you really care if you lose weight if it all comes back once you stop the medication? That's one of the biggest problems with using Phentermine. It may act to temporarily suppress your appetite, but whatever results you achieve while using this medication practically disappear once you stop it. What this means is that Phentermine is NOT a long-term solution for weight loss. There are actually ways to increase the length of time you can use it while avoiding weight gain after you stop it (more on that later). Does it Actually Help with Weight Loss? 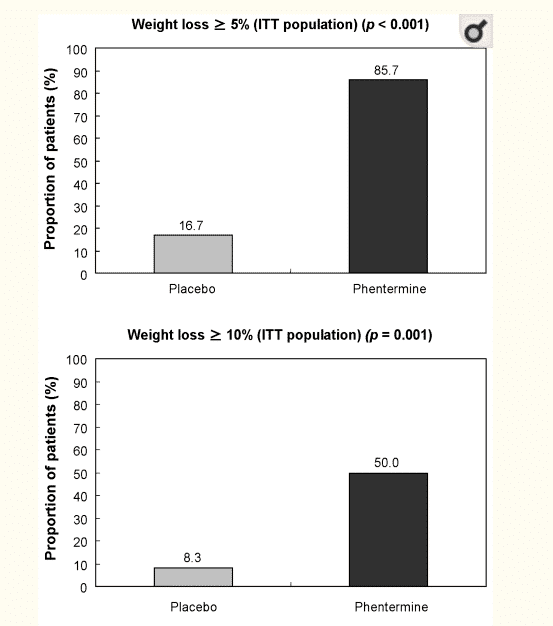 From a technical standpoint, it is clear that Phentermine does indeed work to reduce weight. When you look at the clinical studies showing that Phentermine helps patients it's easy to get excited (3). Most people do admit that Phentermine can help them lose weight (in the short-term) but almost everyone puts back on the weight that they lose once they stop the medication. This phenomenon is well known to researchers and it is the reason that Phentermine is only approved for SHORT-term weight loss. But what good is weight loss if it's not sustained? If you take the time and energy to lose weight it's only natural that you want that weight to STAY off. Even though it doesn't show sustained weight loss in clinical studies, we can still use the fact that it "works" to our advantage. We know that FDA approved doses do indeed suppress the appetite and do indeed alter the sympathetic nervous system (thereby increasing how many calories you burn). The question then becomes how can we use Phentermine correctly to lose weight in the long-term while avoiding negative side effects? The answer to this question has to do with how this medication is used (including dosage and frequency). I said previously that most people use Phentermine incorrectly so we need to expand upon that idea. Take 1 pill each and every morning for 30-day intervals (the maximum amount of time you can prescribe the medication). Each day you take it you will notice that your appetite is reduced so you consume less food. Because of this reduction in caloric intake, you will lose some weight (maybe a few pounds a month). Eventually, your Doctor will stop prescribing the medication and you will slowly regain whatever weight you lost over this 1-3 month period. Most Doctors will NOT prescribe Phentermine longer than a 3 month time period because it is well known that the benefits of Phentermine start to decline after that time period. So even if you lost some weight while using it initially, you will have diminishing returns on your weight loss over time. That means if you lost 5 pounds the first month you'll probably lose 2-3 pounds the next month and then another 1 pound the following month. Taking it for another 3-6 months will NOT increase the amount you lose. This is the "standard" way to use Phentermine and it's how most Doctors recommend that you use it. But there are some tweaks that I've learned over the years to dramatically improve how effective it can be. So how should you actually use Phentermine for long lasting and sustained weight loss? In order to discuss how this is done you need to understand the importance of your metabolism (also known as metabolic rate) on your weight. Perhaps the single most important measure of whether or not you will maintain your weight after you lose weight has to do with how well your metabolism is functioning (4). Your metabolism is a term used to describe the number of calories that you burn doing everyday activities such as breathing, sleeping, thinking, etc. This amount of calories accounts for up to 90% of the total amount of calories that you burn each and every day (depending on which study you look at). But we have a big problem. It's well known that CALORIC restriction is known to cause a REDUCTION in your metabolism and basal metabolic rate. If you consume fewer calories than whatever your metabolism is set at, your body will adapt by LOWERING your metabolism to match your food intake. This is known as metabolic damage and it occurs with calorie-restricted diets and is one of the reasons that up to 99% of diets FAIL (proven through studies) (5). You might be seeing the problem here. Phentermine causes a reduction in your appetite which WILL lead to a reduction in the number of calories that you consume. This caloric restriction will ultimately lead to a reduction in your metabolism AND the regaining of weight after you stop the medication. It turns out that you can bypass this negative impact on metabolic function by altering how you reduce your calories. As far as your metabolism is concerned, there is a HUGE difference between SUSTAINED caloric restriction and EPISODIC caloric restriction. Sustained calorie restriction = 1,000 - 1,200 calorie diet daily x30 days. Episodic calorie restriction = 1-3 days per week of 500-1,000 calories. Sustained calorie restriction is the "standard" advice that most weight loss experts give and the way that most diets function. You temporarily reduce the number of calories that you consume for some time interval (usually 30-90 days). You lose some weight during this time period but you always gain it back because you damage your metabolism in the process. Episodic calorie restriction, on the other hand, does NOT result in damage to your metabolism (6). Episodic calorie restriction also has the benefit of causing the same amount of weight loss associated with sustained calorie restriction. It's really a no-brainer in terms of which one to choose. But where does Phentermine fit in? Phentermine can be used to help BOOST the effectiveness of the episodes of temporary caloric restriction by INCREASING your metabolism and by REDUCING your appetite. 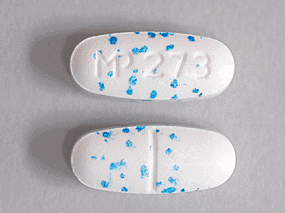 This combination makes using Phentermine MUCH more effective and much safer. You end up using a smaller dose, using that dose less frequently while still reaping the weight loss benefits. Even this small change can have a huge impact on your total weight, how well you tolerate the medication and more. The absolute best way to use Phentermine is to combine phentermine with intermittent or prolonged fasting routines. Using Phentermine no more than 3 days every 7 days (at the absolute most!). Many patients will be fine using it only 2x every 7 days. The days that you use Phentermine are the days that you practice either prolonged or intermittent fasting. You can take Phentermine on the morning of and on an empty stomach to help reduce your appetite for that day. You can learn more about how exactly I use phentermine in my weight loss program here. It's a simple change, but one that has a huge impact on your weight. Before you run out and get your Doctor to give you Phentermine make sure that you read the limitations of this medication and using this method. As much as I like Phentermine we need to be fair about the potential side effects associated with this medication. Because Phentermine is considered a "stimulant" it carries with it some side effects that should not be glossed over (7). The term stimulant is used to describe the effects of medications on the sympathetic nervous system. The sympathetic nervous system is your fight or flight response system and it manages your energy level, blood pressure, heart rate, alertness and so on. Medications which trigger this system often result in increased focus and attention (Adderall), suppressed appetite (Phentermine), increased blood pressure, increased heart rate and increased demand on your heart in general (8). Most of these side effects have to do with how sensitive you are to the dosing, meaning they are dose sensitive. In most cases, simply reducing the amount that you take is usually enough to reduce the symptoms. But a small minority of people, usually around 5-10%, will not be able to tolerate Phentermine at any dose. There are other options for these people to help with appetite suppression which you can read about here. But, as you can see, Phentermine is not necessarily a "safe" medication and it should only be used if necessary. You have to think about whether the potential negative side effects are worth the loss in your weight and determine if that weight loss is worth the small risk. In most cases, it is worth it, but if you have existing high blood pressure, heart problems or insomnia then using Phentermine may not be the best option for you. When in doubt touch base with your Doctor. Will using Phentermine in the way I've described here result in pounds and pounds of weight loss for everyone? Not necessarily, which is why we need to be realistic about your expectations. If you are someone that is NAIVE to calorie-restricted diets or NAIVE to using Phentermine then you are someone who will most likely have a lot of success with this method. By naive I mean someone who has NOT used these methods before. If, on the other hand, you are someone who has done the HCG diet multiple times or someone who has used Phentermine for months and months on end, then this method will likely not work well for you. So why does it work for some people but not others? It has to do with the amount of metabolic damage that certain people have already sustained from bad eating and dieting habits (9). It takes years to reverse metabolic damage and metabolic damage is often associated with other hormone imbalance such as thyroid dysfunction and leptin resistance which will need to be treated. If you fall into that category you can read more about how to fix it here. But for those people who do not fall into this category Phentermine will probably work very well for you. If you don't fit into the categories listed above it doesn't mean that Phentermine won't work for you, but it does mean that it probably won't be as effective as other therapies. What Kind of Results should I Expect if I use it? It really depends on how you use Phentermine. As a stand-alone weight loss medication is just an "average" weight loss medication. Don't get me wrong, it can still help with weight loss, but it's probably only going to help you lose 5-15 pounds long-term. This is assuming that you use it as I've outlined above (with episodic intermittent and prolonged fasting). But it's most likely NOT going to get you to your "normal" weight, especially if you have 30+ pounds to lose. Instead of using Phentermine as a stand-alone medication I tend to use it as an additional therapy to more powerful weight loss therapies. I've written about them before, but you can find more information on powerful weight loss medications here. Phentermine is best used as part of a multi-faceted weight loss program which includes dietary changes, exercise routines, the right supplements and other medications. Phentermine can also be combined with hormonal therapy such as testosterone or T3 therapy to help boost weight loss over a short-term period. Dosing Phentermine is actually fairly straightforward. The "standard" dose of Phentermine is 37.5mg. This is the highest dose you should take in any given day (do NOT exceed 1 tablet daily). Higher doses will increase your blood pressure, heart rate and may cause heart palpitations and so on. Even at this dose of 37.5mg, some patients will find that they are "sensitive" to the dose and simply cannot tolerate it. They may experience heart palpitations, anxiety or even sleeping issues. For those people who fit this category just remember that the tablets are scored down the middle. This means you can cut the dose in half, down to 18.75mg, by breaking the tablet in half. This USUALLY works for most people. I'm all for using low-cost medications, provided they work and provided they are NOT dangerous. In terms of cost, Phentermine is reasonably priced (even though it is not the "safest" medication out there). If you use Phentermine the way I've outlined above then that cost drops considerably. Because you're only using 2-3 tablets per WEEK. The pharmacies won't like it, but your wallet certainly should. I've spent a lot of time practicing different ways to help people lose weight and this is just one of many strategies that I've created over the years. By simply altering how you look at your weight and what actually causes weight loss you can make changes which will dramatically impact your weight long-term. Standard recommendations for using Phentermine seem to be inadequate and may cause long-term metabolic damage. Instead of using Phentermine as recommended, consider using it in an episodic way. This will allow for more sustained weight loss, fewer side effects all while avoiding metabolic damage. I've used this strategy many times in my career and it has worked well for many different patients. 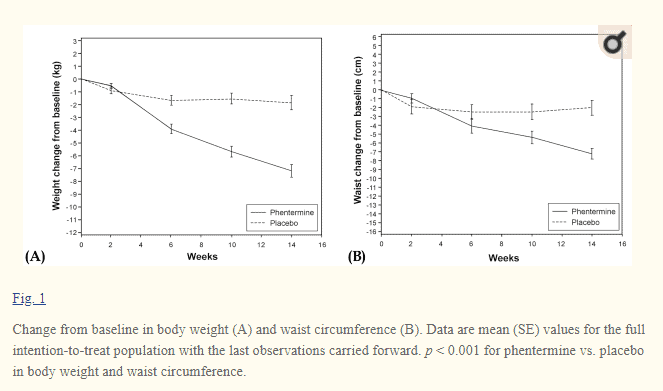 Are you using Phentermine for weight loss? Have you damaged your metabolism in the process?